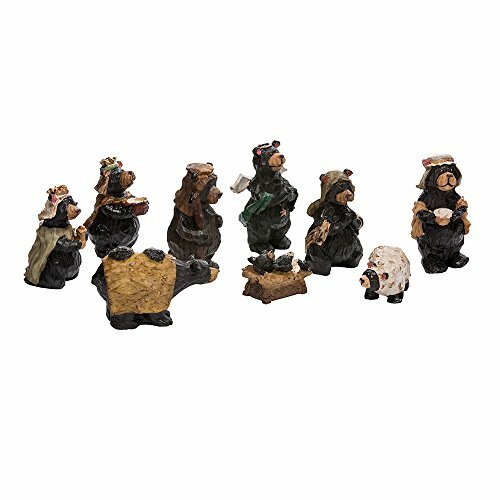 Celebrate and remember the true meaning of Christmas in a new, fun way with this resin bear Nativity set of 9 pieces by Kurt Adler. Each adorable bear figure in this set represents one of the important figures of the first Christmas in Bethlehem. The figures average in size at about 4 Inch tall. Figures included are the Holy Family, the Three Wise Men, a shepherd, an angel and a sheep.